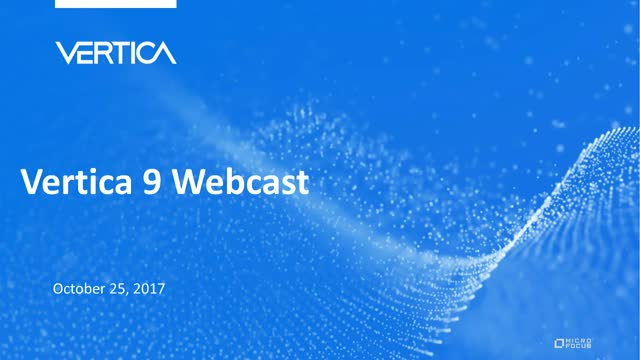 Join us for an exciting and highly informative look at the newest and most powerful release of Vertica. Vertica 9 delivers high-performance in-database machine learning and advanced analytics anywhere, anytime, on any major cloud. This latest release also offers direct querying of Parquet data on AWS S3, support for Google Cloud Platform and Azure Power BI, and the beta release of cloud optimized separation of compute and storage.